January is National Radon Action Month, which the EPA established to raise awareness about the adverse health effects of radon and why you should test your home for radon. Whether your home is new to you, or you have lived in it for years without it being tested, there is no better time than the present to find out if the levels of radon in your home are safe for you and your family. Here are four great reasons explaining why testing your home for radon is so important. 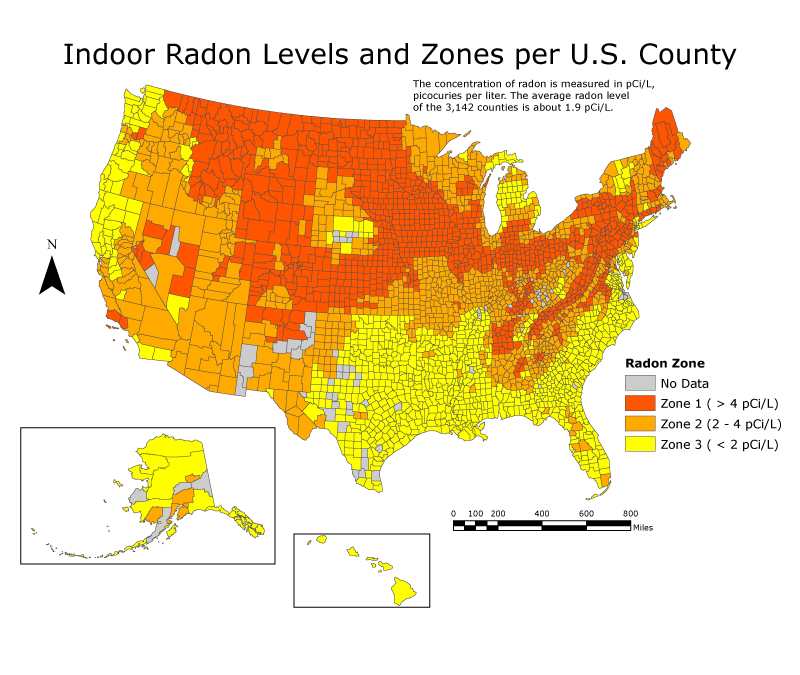 Radon is an invisible gas, and you can’t smell or taste it. If there are unsafe levels of radon in your home, there is absolutely no way to tell without a radon test. It is best to have your home tested for radon as soon as possible because living with elevated levels of radon can cause severe health complications down the road. Aside from smoking cigarettes, exposure to radon is the leading cause of lung cancer. Years of living with undetected radon is an invisible killer that no matter how healthy of a lifestyle you live, can still cause premature disease and death. Radon is a naturally occurring radioactive chemical that forms in the soil and seeps up through the foundations of homes. Our area of central Pennsylvania happens to have very high levels of radon, so it is especially important to include a radon test with any home inspection, or even a standalone radon test in a home that hasn’t been tested yet so that you can begin mitigation measures if necessary. There are several different techniques for radon mitigation, and price-wise they are fairly accessible. Considering the health of your family is at stake, starting mitigation as soon as possible is a top priority. Discuss your options with a radon professional if high levels are found when you test your home for radon. Advantage Inspection Services offers Radon Testing to central Pennsylvania, either as an add-on to a Home Inspection or as an a la carte service for a home you already live in. Contact us today to test your home for radon during National Radon Action Month!